Jurnal ARSI (Administrasi Rumah Sakit Indonesia) diinisiasi oleh Center for Health Administration and Policy Studies (CHAMPS) Fakultas Kesehatan Masyarakat Universitas Indonesia bekerja sama dengan Perhimpunan Manajer Pelayanan Kesehatan Indonesia (PERMAPKIN). 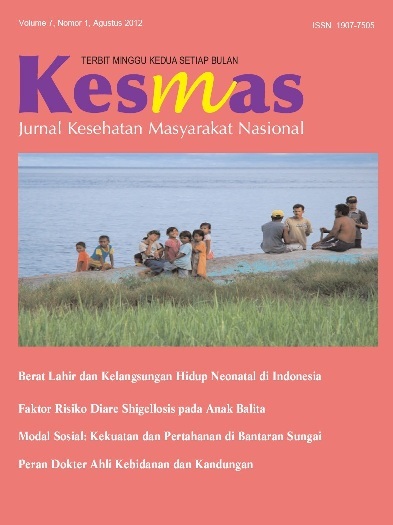 Sebagai jurnal ilmiah, Jurnal ARSI memiliki fokus di bidang administrasi layanan kesehatan primer di rumah sakit di Indonesia. Adapun artikel atau naskah ilmiah yang dimuat dalam Jurnal ARSI mencakup ranah penelitian, studi kasus, atau konseptual yang masing-masing mengusung pilar corporate governance, clinical governance, atau keduanya (bridging). Journal of IHPA (Indonesian Health Policy and Administration) is a scientific journal which presents original articles on knowledge and information of research about the latest delevopment in the field of health, especially related to the issue of health policy and administration. This journal is published four times in a year (1 volume). The articles or manuscript contained in the journal of IHPA includes the realm of research, case study, or conceptual. International Law is perhaps the most dynamic area of law today and one of the most important, as global interdependence deepens and the transnational movement of people, ideas, goods, and services continues to grow. As stated by Professor Lung-Chu Chen, of New York Law School, in his book: An Introduction to Contemporary International Law - A Policy Oriented Perspective (Yale University Press, 2nd edition, 2000), international law is a continuing process of authoritative decision by which members of the world community identify, clarify and secure their common interests. These common interests consist of minimum world order and optimum world order. Minimum World Order refers to the minimization of unauthorized coercion and violence - in other words, the maintenance of international peace and security. Optimum World Order refers to the widest possible shaping and sharing of values, for example, respect, power, enlightenment, well-being, wealth, skill, affection, and rectitude, popularly expressed in terms of human rights, self-determination and self-governance, education and global communication, health and environmental protection, trade and development, transfer of technology, human solidarity and diversity, and social justice. Professor Chen continues to say, that as human kind ushers in a new millennium and a new century of knowledge and power, the degree of global interdependence has deepened, the amazing frequency of transnational interactions continues to accelerate. The global village is real in fact and in perception. "Globalization" has become a catch word of the new era. As an ongoing process of authoritative decision, international law is as dynamic as ever, and constitutes a distinct part of the globalizing process. Taking another into account, all actors - nongovernmental as well as governmental - have intensified their transnational interactions, generating ever-increasing and interpenetrating transnational effects. In this process, nation-States have played and continue to play the dominant role. But non-State participants - international governmental organizations and nongovernmental organizations and associations - are playing increasingly significant roles. The Individual, in particular, acting both alone and as group representative, is the ultimate participant, performing all the functions relevant to making and applying law. Thus, the need for maintaining minimum world order and for securing optimum world order has become ever more pressing. Following this line of thinking and in order for us to know the wide range of issues nowadays covered by the international law in this era of globalization, this journal under the theme of Various Aspects of International Law, publishes in this number eight articles for our readers to read. Six of main articles are those entering the First IJIL Writing Competition conducted by the Center for International Law Studies (CILS), the Faculty of Law of the University of Indonesia, late last year of 2009, whereas the article of Professor Agus Sardjono is put as the honorary article, to remark his contribution in the field of intellectual property rights in Indonesia. This current theme is also intended to mark the development of our journal to be a full-English language. We hope through this development, our journal would be able to reach wider readers around the world, representing the perspective and also the contribution of Indonesian legal community to the development of international law. Elektronik Journal Kedokteran Indonesia (eJKI) is a peer-reviewed and open access journal that prioritize the publication manuscript of students (medical education program, magister/specialist, doctoral). This journal publishes editorial, research article, reviews, evidence-based case report, and also interesting case reports/case study. The Asia Pacific Journal of Accounting and Finance (APJAF) is committed to the creation of an academic literature in a broad area of accounting and finance. Articles in APJAF will cover all aspects of Financial Accounting, Management Accounting Governance, Sustainability Reporting, Auditing, Public Sector Accounting, Taxation, Information System, Accounting Education, Sharia Accounting and Financial Management, Ethics and Professionalism, Capital Market Research, Banking, and Corporate Finance. The journal is a double blind refereed journal. Papers submitted are expected to focus on academic contribution to the literature. All contributions to APJAF within the above categories of the journal are very welcome. We accept paper with a maximum length of approximately 5,000 words. Theoretical and empirical papers are invited which is expected to provide comprehensive analysis for both the researchers and practitioners in the area of: accounting, finance, audit, accounting information systems, corporate governance, corporate social responsibility (CSR), and other related topics are all welcome to be submitted. Jurnal Purifikasi terbit 2 kali setahun pada bulan Juli dan Desember. Memuat artikel teknologi dan manajemen di bidang ilmu Teknik Lingkungan dan ilmu lain yang terkait dengan bidang Teknik Lingkungan. Indonesia Law Review (ILREV) is an initiative of Djokosoetono Research Center (DRC) Faculty of Law University of Indonesia. It aims primarily to facilitate scholarly and professional discussions over current developments on legal issues in Indonesia as well as to publish innovative legal researches concerning Indonesian laws and legal system. Published exclusively in English, the Review seeks to expand the boundaries of Indonesian legal discourses to access English-speaking contributors and readers all over the world. The Review, hence, welcomes contributions from international legal scholars and professionals as well as from representatives of courts, executive authorities, and agencies of development cooperation. The Review basically contains any topics concerning Indonesian laws and legal system. Novelty and recency of issues, however, is a priority in publishing. The range of contents covered by the Review spans from established legal scholarships and fields of law such as private laws and public laws which include constitutional and administrative law as well as criminal law, international laws concerning Indonesia, to various approaches to legal studies such as comparative law, law and economics, sociology of law and legal anthropology, and many others. Specialized legal studies concerning various aspects of life such as commercial and business laws, technology law, natural resources law and the like are also welcomed. 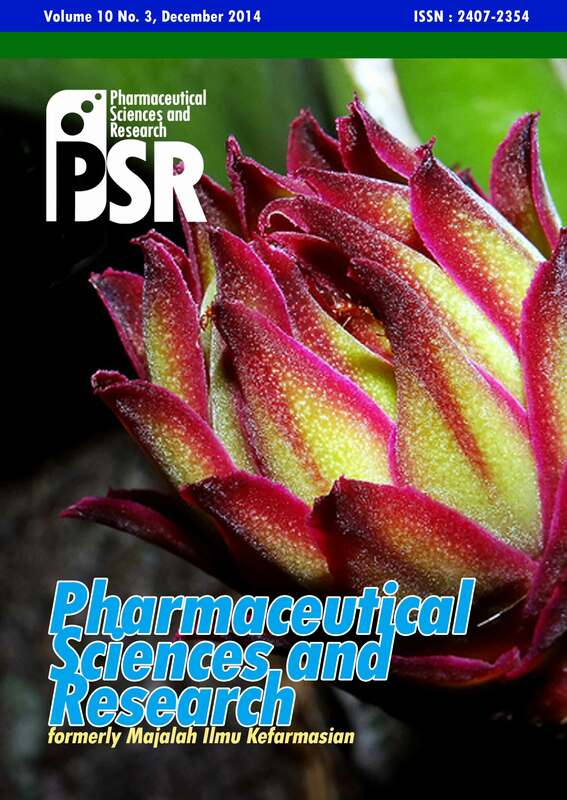 A recommendation by the Editors on specific research issues to be covered in each volume may be made available to prospective contributors prior to publication of the volume in April, August and December. Prof. Abdul Bari Azed, S.H., M.Hum. Prof. Dr. A. Uwiyono, S.H., M.H. Prof. Dr. Felix Oentoeng Soebagjo, S.H., M.H. Assoc. Prof. Gary F. Bell, LLM., LLB BCL., Bth. Prof. Dr. Maria Farida Indrati, S.H.,M.H. Prof. Dr. Ramly Hutabarat, S.H., M.Hum. Price : Rp. 120.000,- or $ 12,- per annum (3 edition), not including posting fee. 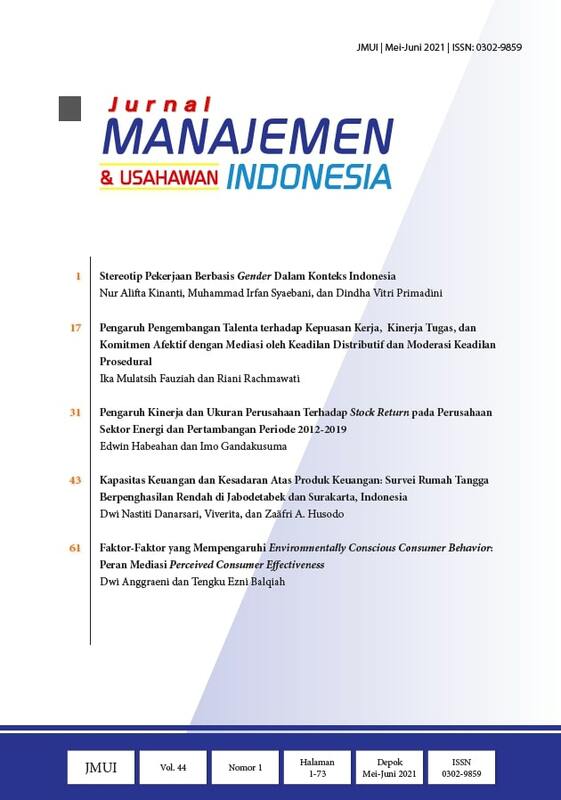 JURNAL MANAJEMEN USAHAWAN INDONESIA adalah media dwibulanan yang bertujuan memajukan dan menyebarluaskan ilmu pengetahuan dan keterampilan manajemen, guna meningkatkan daya dan hasil perusahaan/organisasi di Indonesia. Perkembangan sebuah kota membutuhkan pemikiran yang mendalam berdasarkan realitas dan masalah yang ada. Hasil-hasil pemikiran tersebut tentu akan bermanfaat dalam implementasi hidup mengkota, sehingga warga kota dan para administrator dapat bekerja sama membangun, mengembangkan, meremajakan, dan memperbaiki kota secara berkelanjutan. Jurnal Kajian Pengembangan Perkotaan menyajikan berbagai hasil penelitian dan artikel telaah (dengan undangan) multi disiplin yang memiliki kaitan dengan kota, seperti perencanaan kota, antropologi perkotaan, lingkungan perkotaan, kesehatan kota, ekonomi kota, atau sosiologi perkotaan. Terbit dua kali setahun pada Bulan April dan Oktober; dalam satu volume ada empat nomor. Penerbit : Pusat Kajian Timur Tengah dan Islam-Universitas Indonesia (PKTTI-UI). Jurnal Keperawatan Indonesia (JKI) merupakan jurnal keperawatan tertua di Republik Indonesia yang terbit sejak Januari 1997. JKI mempunyai visi menjadi jurnal unggulan di Indonesia yang menjadi acuan pembaca artikel keperawatan di seluruh dunia. Selama periode penerbitan, JKI telah menerbitkan artikel mengenai ilmu pengetahuan, teknologi, dan riset keperawatan dalam semua bidang keperawatan dan bidang lain yang terkait, dengan penekanan pada isu dan kecenderungan berskala nasional, regional, dan global. Pengelolaan yang baik dan teratur menghasilkan telah terakreditasinya JKI. Pengelola : Dr. M. Rahmat Widyanto, M.Eng. ANTROPOLOGI INDONESIA was published to develop and enrich scientific discussion for scholars focusing on socio-cultural issues in Indonesia. This journal applies a peer-reviewed process in selecting high-quality articles. 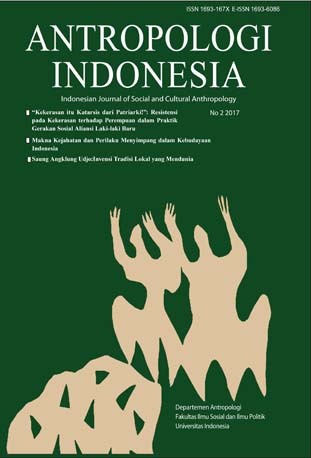 Editors welcome article submissions based on original research findings and/or new theoretical positions within contemporary debates pertaining to anthropology, Indonesian studies and beyond. Authors are solely responsible for the contents of their submissions. Published articles do not necessarily reflect the position or opinions of the editors. The criteria of the submitted manuscripts are expected to touch one or more of the following themes: ethnographic/qualitative research findings on topics related to, or comparatively relevant to, socio-cultural issues in Indonesia; discussion of applied and collaborative research on development or policy-related engagements highlighting social, political, and cultural issues in Indonesia and beyond; elabrated discussions on current theoretical, methodological or ethical issues facing anthropolog in Indonesia and beyond; and last, critical reviews of anthropology-related literature and ethnographic monographs published within the last 3 years. Pengelola : Pemimpin Redaksi: Ade Armando, M.S. 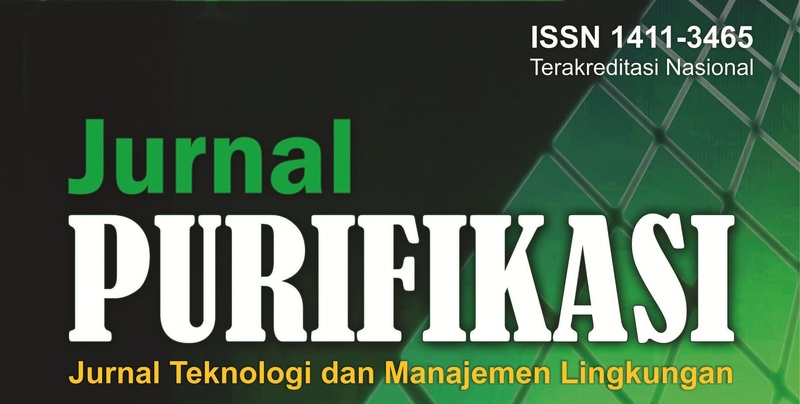 Jurnal Komunikasi Indonesia (JKI) is a peer reviewed, open access, scholarly journal that provides a dedicated, interdisciplinary forum for research on communication and media. 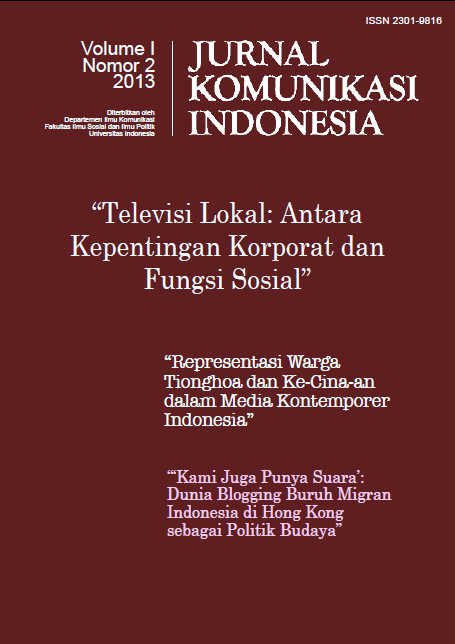 JKI was launched in 2012 and is published by Department of Communication, Faculty of Social and Political Sciences, Universitas Indonesia. Its core mission is to publish original and critical research articles related to communication and media; which includes, but is not limited to, interpersonal communication, public relations, advertising, communication strategies, and media studies. Proposals for special issues are also welcomed. The journal is published twice a year. Editorial Board of JKI welcome submissions on any topic related to the discipline. In addition, we accept a relevant book review that currently publishes and can enrich sociological perspectives. KUNJUNGI WEBSITE BARU KAMI: http://jps.ui.ac.id untuk melihat naskah mulai tahun 2019-seterusnya. Jurnal Psikologi Sosial (JPS) adalah sarana untuk mengembangkan psikologi sosial sebagai ilmu pengetahuan maupun sebagai ilmu terapan, melalui publikasi naskah-naskah ilmiah dalam bidang tersebut. JPS menerima naskah-naskah penelitian empiris kualitatif atau kuantitatif terkait dengan ilmu psikologi sosial. JPS dikelola oleh Fakultas Psikologi, Universitas Indonesia melalui LPSP3, JPS memiliki versi cetak sejak tahun 2001 hingga 2008. Kemudian, pada tahun 2017 pengelolaannya dibantu oleh Ikatan Psikologi Sosial-Himpunan Psikologi Indonesia dengan tidak hanya menerbitkan versi cetak, tetapi juga versi online. JPS terbit sebanyak 2 kali setahun, yakni tiap Februari dan Agustus. 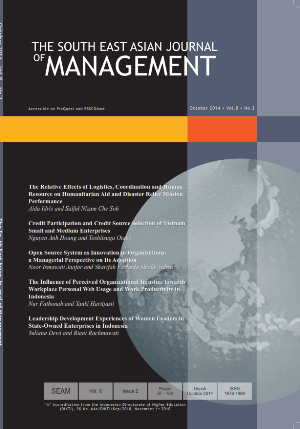 The South East Asian Journal of Management (SEAM) seeks to publish high quality, scholarly empirical research articles in management, strategic management, organization, entrepreneurship, operation management, human resource management, business, and organization topics that test, extend, or build theory and contribute to management practices in the South East Asian region. The SEAM strives to serve as a major vehicle for the exchange of ideas and research among management scholars within or interested in the South East Asia region. The Journal has been nationally acknowledged and accredited by The Indonesian Directorate of Higher Education (DIKTI). SEAM has received “B” accreditation from DIKTI SK No. 212/P/2014. Furthermore, the SEAM also has been indexed in EBSCOhost, DOAJ, ProQuest, ESCI and Crossref. SEAM is a peer-reviewed journal published twice a year (April and October) by Management Research Center (MRC), Department of Management, Faculty of Economics and Business Universitas Indonesia (FEB UI). Jurnal Akuntansi dan Keuangan Indonesia (JAKI) diterbitkan oleh Departemen Akuntansi Fakultas Ekonomi Universitas Indonesia secara berkala (setiap enam bulan). Tujuan jurnal ini adalah untuk mempublikasikan hasil riset maupun pemikiran akuntansi dan atau keuangan yang relevan bagi pengembangan profesi dan praktek akuntansi di Indonesia. JAKI telah memperoleh akreditasi dengan nilai B berdasarkan SK Dirjen DIKTI NO. 80/DIKTI/Kep/2012 untuk periode 2012-2017. Konsisten dengan tujuannya, pembaca JAKI diharapkan cukup luas dan isinya diharapkan menarik bagi para akademisi, praktisi, peneliti regulator, mahasiswa, dan pihak lain yang tertarik dengan pengembangan profesi dan praktek akuntansi di Indonesia. 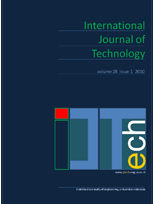 International Journal of Technology (IJTech) is bi-annual international referred journal with the objectives to explore, develop, and elucidate the knowledge of engineering design and technology, to keep practitioners and researchers informed on current issues and best practices, as well as serving as a platform for the exchange of ideas, knowledge, and expertise among technology researchers and practitioners. International Journal of Technology provides an opportunity to share detailed insights from different understandings and practices associated with technology. It provides an international forum for cross-disciplinary exchange of insights and ideas regarding value and practices for dissemination. International Journal of Technology will publish your work to international society of practitioners and researchers with interest in technology design and development from a wide variety of sectors. Pengelola : Dr. rer.nat. Yasman, M.Sc. We are very exited to announce that we've moved to our newly designed website. MAKARA Seri Sosial Humaniora (MAKARA of Social Sciences and Humanities Series) is a scientific journal publishing original articles on new knowledge and research or research application with current issues in social science and humanities. The journal is published by the Directorate of Research and Community Services, Universitas Indonesia and provides a broad-based forum for the publication and sharing of ongoing research and development in social sciences and humanities. The paper to be presented in this journal is addressed to the editorial office or e-mail. The complete information regarding the procedures to send an article is available in each volume and on its website. All articles will be subjected to double-blind peer review process following a review by the editors. MAKARA Seri Sosial Humaniora was formally published under the name of MAKARA Seri C: Bidang Sosial Humaniora after the name of Jurnal Penelitian Universitas Indonesia MAKARA, which has been published since 1997. Starting from 2008	, the journal has been periodically published twice a year (July and December). Full text articles are available from Volume 6 No. 1 April 2002 free of charge. MAKARA Seri SOSIAL HUMANIORA merupakan jurnal ilmiah yang menyajikan artikel orisinal tentang pengetahuan dan informasi riset atau aplikasi riset dan pengembangan terkini dalam bidang sosial humaniora. MAKARA Seri SOSIAL HUMANIORA terakreditasi B (2011-2016). Jurnal ini merupakan sarana publikasi dan ajang berbagi karya riset dan pengembangannya di bidang sosial humaniora. Pemuatan artikel di jurnal ini dialamatkan ke kantor editor. Informasi lengkap untuk pemuatan artikel dan petunjuk penulisan artikel tersedia di dalam setiap terbitan. Artikel yang masuk akan melalui proses seleksi mitra bestari dan atau editor. Sejak 2005 jurnal ini terbit secara berkala sebanyak dua kali dalam setahun (Juni, Desember). Pemuatan naskah tidak dipungut biaya. MAKARA Seri SOSIAL HUMANIORA adalah peningkatan dari MAKARA Seri C: Bidang Sosial Humaniora sebagai penyempurnaan dari Jurnal Penelitian Universitas Indonesia MAKARA yang terbit sejak Januari 1997. MAKARA Journal of Science publishes high quality research on fundamental science and provides a broad-based forum for the information sharing of ongoing research and development in science. Topics covered include physics, chemistry and biology. All submitted manuscripts will be subjected to the peer review process following a thorough inspection by the editors. 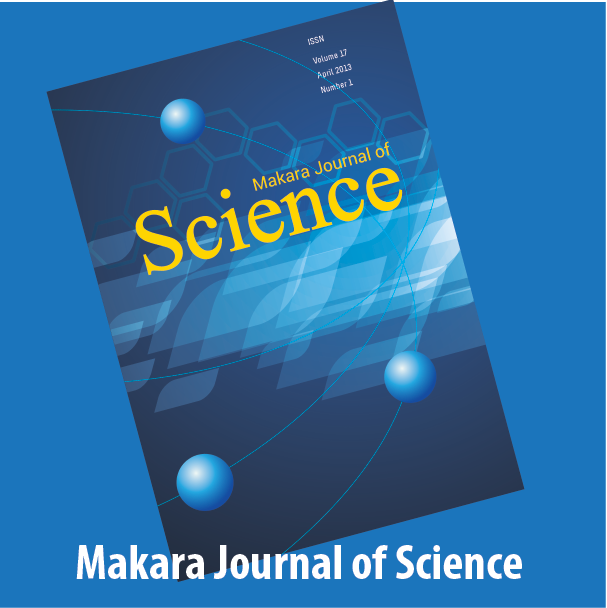 Makara Journal of Science is the successor to the "MAKARA of Science Series" and "Makara Sains", which have been published since 1997. Starting from 2014, the journal has been periodically published four times a year (March, June, September, and December). Publication in this journal is free of charge and all published papers are available online through open access. 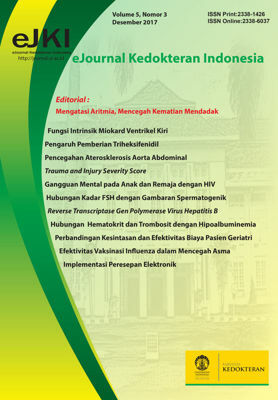 Makara Journal of Health Research (MJHR) is a peer-reviewed and scientific journal published by Universitas Indonesia. Starting from 2019 onwards, MJHR is redirecting its scope, focusing on publishing research articles relevant to non-communicable diseases (NCDs) addressing issues of surveillance, disease management and health policy in the Asia Pacific and Mediterranean countries. Relevant academic articles regarding NCDs analyzed from an integrated perspective including individual and population level, experimental and clinical approaches, epidemiology, public health, disease prevention and health promotion, diagnosis, treatment, prognosis and palliative care are welcome. The MJHR is an open access journal, and since 2014, it is published 3 times per year. The Journal is nationally acknowledged and accredited by the Indonesian Directorate of Higher Education (SK No. 36a/E/KPT/2016). Further, we are proudly announcing the International acknowledgment of the MJHR by being indexed in Web of Science Thomson Reuters (Clarivate Analytics) Emerging Sources Citation Index since 2016. Previously, MJHR was well known by the name of Makara Health Series and Makara Seri Kesehatan. There are no charges for submission of a manuscript, article processing nor publication. Wacana, Journal of the Humanities of Indonesia is a scholarly journal accredited by Decree of the Directorate-General of Higher Education of the Ministry of National Education, Republic of Indonesia No. 81/Dikti/Kep/2011, 15 November 2011. This journal of the Faculty of Humanities of the University of Indonesia is a medium for scholarly discussion, description, and surveys concerning literature, linguistics, archaeology, history, philosophy, library and information studies, religion, art, and interdisciplinary studies. The journal is published twice a year, every April and October. The publication of the journal is under the authority of the Dean of the Faculty of Humanities, University of Indonesia. Dr. Karina Arifin (University of Indonesia), Dr. Anies Baswedan (University of Paramadina), Prof. Madya Datuk Zainal Abidin bin Borhan (University of Malaya), Prof. Dr. Arlo Griffiths (École française d’Extrême-Orient), Prof. Dr. Koh Young Hun (Hankuk University of Foreign Studies), Dr. E. Ulrich Kratz (School of Oriental and African Studies, University of London), Prof. Dr. Mikihiro Moriyama (Nanzan University), Prof. Dr. Mundardjito (University of Indonesia), Dr. Daniel Perret (École française d’Extrême-Orient), Prof. Dr. Titik Pudjiastuti (University of Indonesia), Prof. Dr. Riris K. Toha–Sarumpaet (University of Indonesia), Prof. Dr. Hein Steinhauer (Leiden University), Prof. Dr. Leo Suryadinata (National University of Singapore), Dr. Untung Yuwono (University of Indonesia). Click here for our new website. 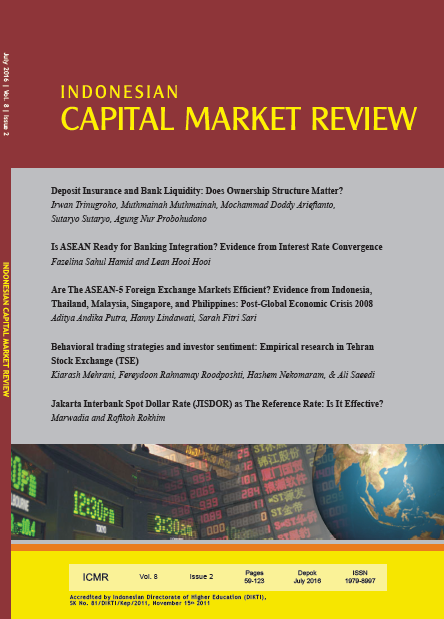 The intent of the Editors of The Indonesian Capital Market Review (p-ISSN: 1979-8997; e-ISSN: 2356-3818) is to discuss, to explore, and to disseminate the latest issues and developments in Empirical Financial Economics (JEL classification: G) particularly those related to financial frictions in the Emerging Markets. The topics cover, but not limited to, capital markets, financial institutions and services, corporate finance, risk modeling and management, market microstructure in financial markets, Islamic finance, behavioral finance, and financial crisis. ICMR has been indexed in EBSCOhost (since 2013), DOAJ (since 2015), CrossRef (since 2016), and ESCI. This journal also has received "B" Accreditation from The Indonesian Directorate of Higher Education (DIKTI) SK No. 36a/E/KPT/2016, May 23rd, 2016. Co-published twice a year (January and July) by: Management Research Center (MRC) Department of Management, Faculty of Economics and Business, Universitas Indonesia, Indonesia Stock Exchange (IDX), and Indonesian Corporate Secretary Association (ICSA). Faculty of Economics, Universitas Indonesia. 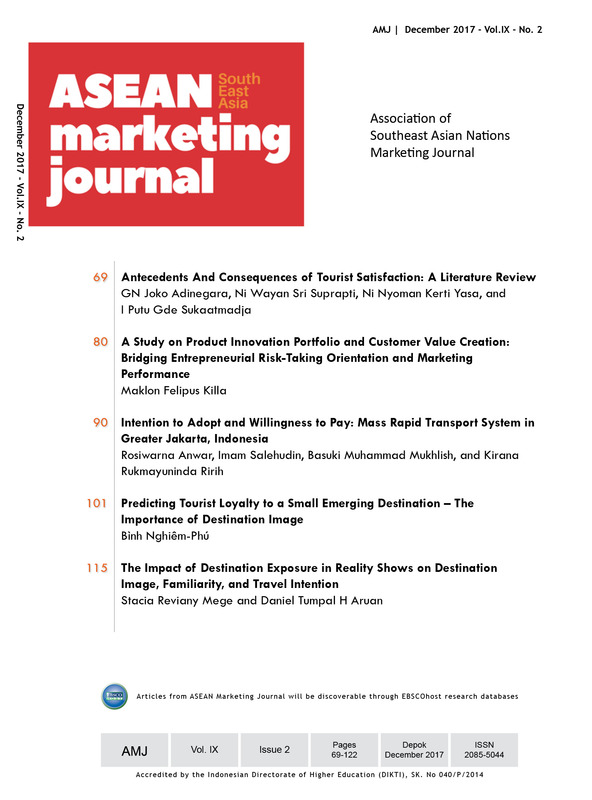 AMJ, as abbreviation of ASEAN Marketing Journal, had firstly launched in 2009. Research, Technology and Higher Education of the Republic of Indonesia. It is considered as good for national-level journal. We keep improving our journal in order to achieve international-level journal. to submit to Scopus while still maintaining excellent performance. Indonesian Journal of Dental Research (Ina J Dent Res) presents original articles in the areas of molecular, cell, and supracellular biology that bring communication of the latest research to the oral and dental community; reviews articles as well as clinical reports with the aim to improve and evaluate diagnostic tools, treatment strategies and prevention of diseases in the oral cavity.